Made in Hawaii. 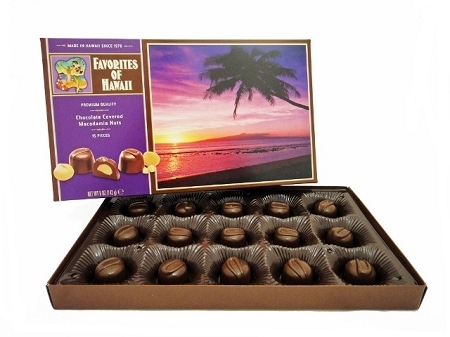 These molded swirls combine our exclusive blend of milk chocolate with 100% Hawaiian grown macadamia nuts. Scenic shot is of the Maui sunset at Olowalu.